With the Olivier Awards taking place this month, April is an exciting time to be in Theatreland. But amongst the celebratory mood is a few tears from closing productions, as we say goodbye to 15 amazing shows leaving in April. From an English National Opera (ENO) series and dark dramas to family-friendly shows and memorising cabaret performances, there’s a variety of shows to see this month, and not long to catch them! Speaking of the Olivier Awards, in 2017 this show won in the Outstanding Achievement in an Affiliate Theatre category. 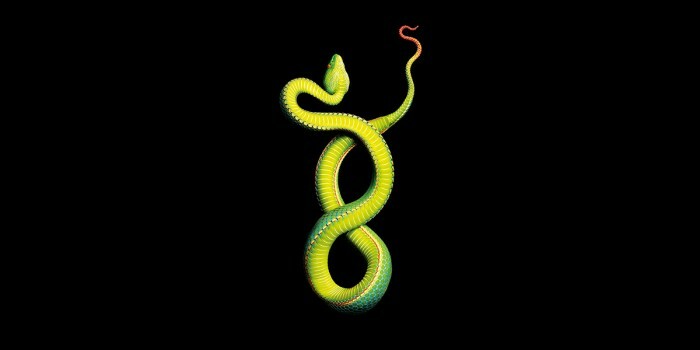 If that wasn’t enough, the show was part of an Off-Broadway season and even embarked on a UK tour. 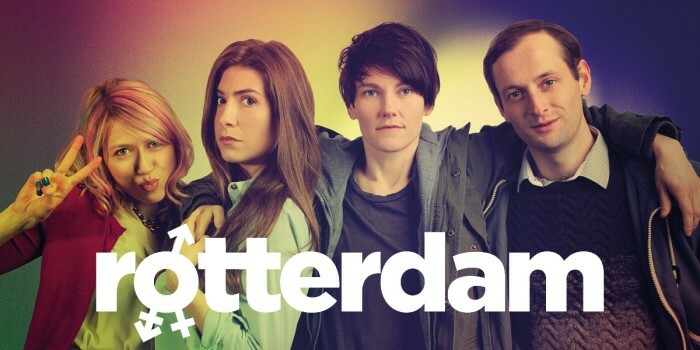 Rotterdam is a tender show about Alice, and her girlfriend Fiona. Set over the New Year period in Rotterdam, Alice is about to email her parents to tell them she’s a lesbian. But before she gets a chance to hit the send button, Fiona reveals she wants to start living as a man. A play that focuses on a transgender drama, Rotterdam is a bittersweet comedy about gender, sexuality and being a long way from home. This show is a one-off dance production, featuring an incredible cast of world-class ballet dancers and a live orchestra. Against The Stream celebrates choreographers who made massive contributions to the world of dance. This includes Robbins and Balanchine in New York, Lifar and Nureyev in Paris, Vaganova and Vainonen in St Petersburg, and Ashton and MacMillan in London. On this unmissable night, you’ll witness work by the artists whose creativity helped shape the world of dance. Sung in English (with surtitles above the stage) the story of The Magic Flute is about the search for truth, reason, love and enlightenment. A Mozart classic, the story follows Prince Tamino and the bird-catcher Papageno on their quest to rescue Pamina. They’re given magical musical instruments to help them on their adventure, which they can use to conquer anything in their way. This is the world premiere of Ian Bell’s new opera production. Set in London in the 1888s, the infamous Jack The Ripper is stalking the streets, so a disadvantaged group of working-class women band together, in a bid to survive the Whitechapel murderer. 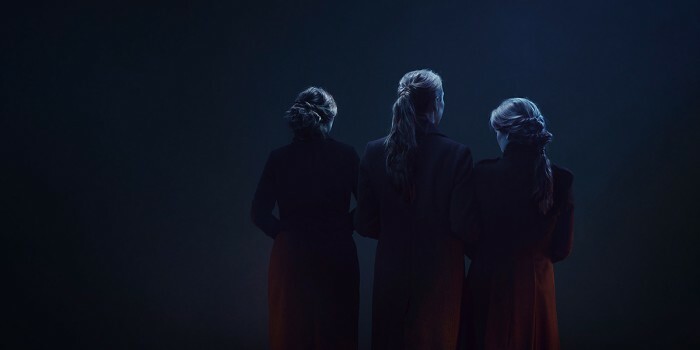 Told over a century after the event, the show explores important themes of community, struggling against the odds, and poses questions about the hypocritical attitudes which society can hold. Jack The Ripper: The Women Of Whitechapel is sung in English, with surtitles displaying sung words above the stage. 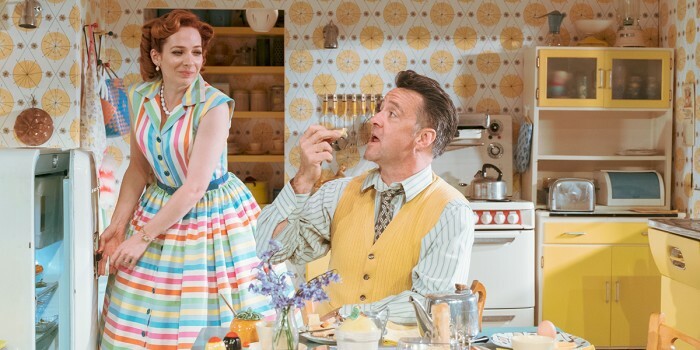 Nominated for five Olivier Awards this year, including Best Actress for the show’s lead, Katherine Parkinson, Home I’m Darling has captured people’s attention. Since its early beginnings at Theatr Clwyd, it’s since transferred twice, first to the National Theatre and now at the Duke Of York’s Theatre. The show is about wannabe domestic housewife, Judy (played by Katherine), who longs to be the perfect 1950s wife. But can her marriage survive it? And is life as sweet as it seems in the 1950s? The Merry Widow opera is a comic masterpiece with a familiar score, including the Vilja Song and the Merry Widow Waltz. The story is all about the relationship between a wealthy young widow called Hanna, and a womanising, wine-drinker called Danilo. As this unconventional love story unfolds, their romance is hampered by mishap, intrigue and comedic misadventure. The Merry Widow is sung in English, with surtitles above the stage. Singing the unforgettable songs of Barbara Streisand, witness singer and comedienne Liza Pulman’s musical talents as she showcases some of Streisand’s biggest hits. Liza previously appeared in the internationally renowned comedy trio Fascinating Aida, and is also known for her performance in Chitty Chitty Bang Bang (where she starred alongside Michael Ball) and in the UK tour of Doctor Dolittle. 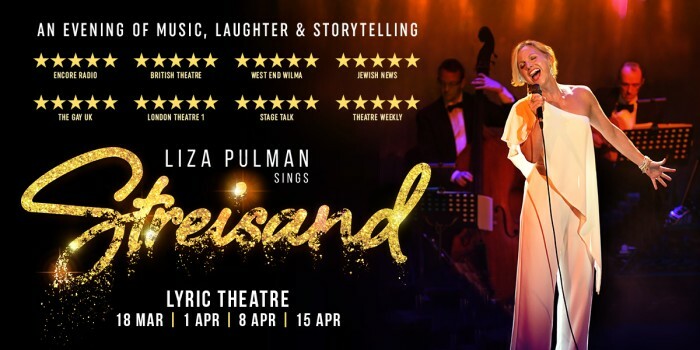 Liza Pulman Sings Streisand has already sold-out an off-West End run at The Other Palace, and now you’ve only got a short time to hear Liza’s flawless vocals in action for an evening of storytelling and breath-taking vocals. Expect to hear such hits as Evergreen, People, New York State Of Mind, The Way He Makes Me Feel, Don’t Rain On My Parade, The Way We Were, Second Hand Rose, You Don’t Bring Flowers and more. 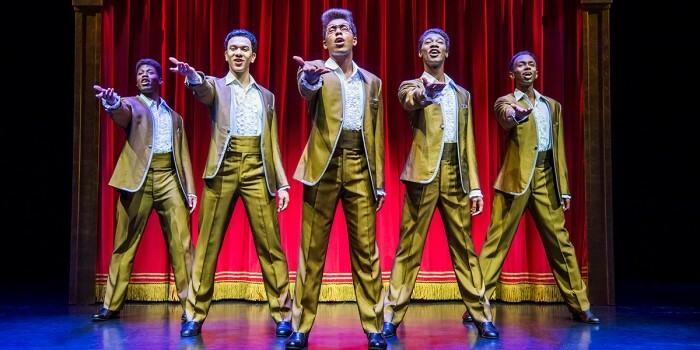 After nearly three years performing some of the most iconic classics, it’s time to say a very teary farewell to Motown The Musical. This high-energy production tells the story of Motown founder Berry Gordy and the creation of his musical empire. The show is set on the 25th-anniversary celebration of Motown, as Berry reminisces on his career and all the stars he helped launch, including Diana Ross and the Supremes, Stevie Wonder, Marvin Gaye and The Temptations. The show features over 40 songs you’re bound to want to dance along to, including My Girl, What’s Going On, Dancing In The Street, I Heard It Through The Grapevine and Ain’t No Mountain High Enough. This tender story explores whether love can conquer even the widest of cultural divides. 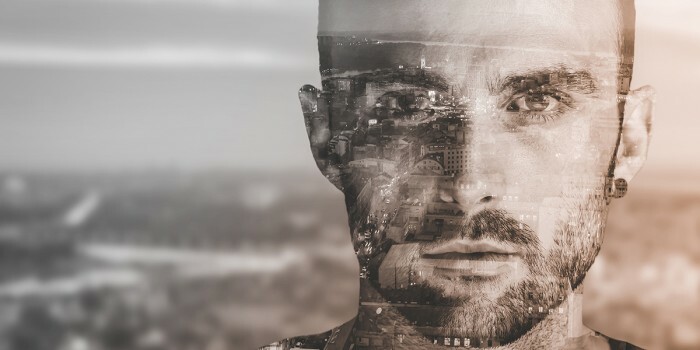 Set in present-day Cairo, Cry Havoc explores the relationship between the Western world and the Islamic Middle East through two men; a spirited young Egyptian and an idealistic British writer. As they explore their relationship, they are forced to confront their identities and traditions against a repressive government. Looking for a show for your little ones this Easter? Then The Cat In The Hat is ideal. Based on the children’s book that has dominated thousands of parent’s bedtime readings, this feline family-friendly show is only around for a few weeks. 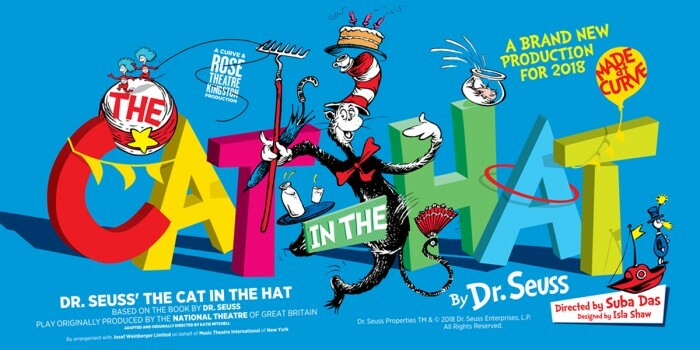 The Cat (and of course, his hat) will be joined by his acrobatic accomplices Thing 1 and Thing 2, for a show full of riotous rhymes, humour, a little bit of mischief and some spectacular circus! 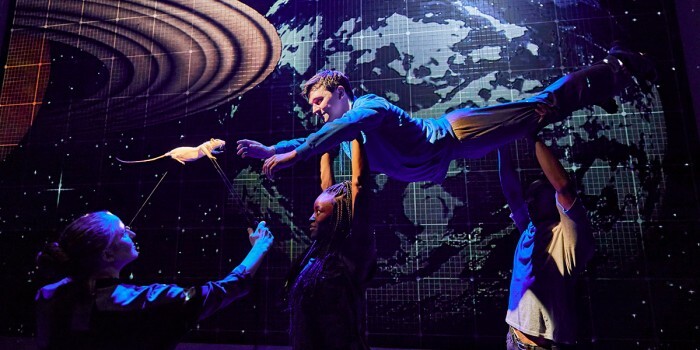 Another well-loved show leaving the West End this month is The Curious Incident Of The Dog In The Night-Time. The show has seen several homes since it initially arrived in the West End, It started at the National Theatre, before transferring to the Apollo Theatre, then the Gielgud Theatre, and now at the Piccadilly Theatre. And thanks to the UK and international tour, over three million people worldwide have seen this spectacular show. Based on the best-selling book, this seven times Olivier-award winning show is all about 15-year-old Christopher. Christopher has an extraordinary brain, but he doesn’t always know how to interpret the world around him. But when he finds the neighbour’s dog dead, he begins detective work, forbidden by his father, which takes him on a journey that upturns his world. This show is up for three Olivier Awards this year, including in the Best Actor category (David Suchet) and Best Actor in a Supporting Role (Adrian Lukis). 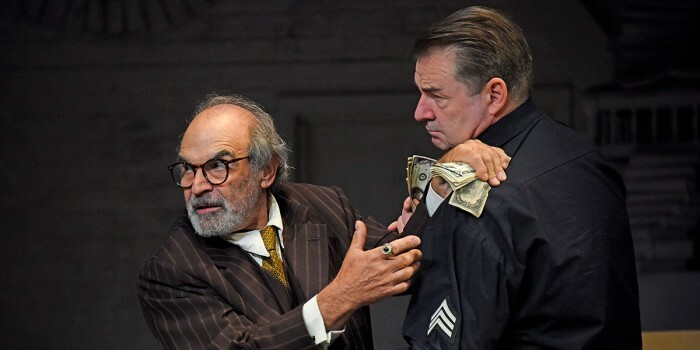 The Price is a revival of Arthur Miller’s dramatic story of two brothers, Victor (played from Brendan Coyle) and Walter Franz. Now estranged from each other, Victor is a New York cop who’s close to retiring, and Walter is a successful surgeon. Reuniting in an attic of a condemned building, the brothers are called together to sell family furniture. But as they sift through the memories, revelation follows cutting revelation, and both brothers come to realise the true price they have paid over generations. A brand-new comedy making its West End debut, the Scary Bikers limited run is almost over. The show is about the relationship between retired miner Don, and former private school teacher Carol, who meet at a support group after both suffering a loss. Starting a new beginning together, the pair decide to go on a bike ride across Europe, but it soon tests their budding romance, and the roads ahead of them become rocky. 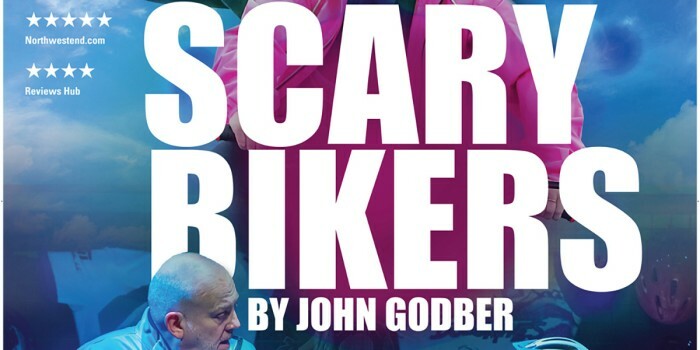 Starring the double BAFTA and Olivier Award-winning partnership of Godber and Thornton, The Scary Bikers is one not to miss. An enchanting take on a classic children’s story; this family-friendly production is perfect for introducing the kids to ballet. 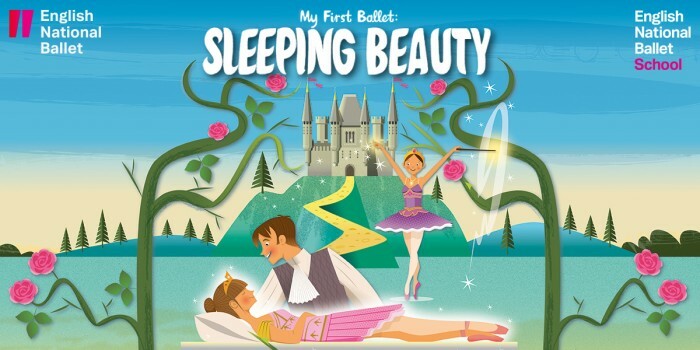 Created by the English National Ballet and performed by second-year students of the English National Ballet School, the show features a narrator to help little ones understand what’s going on. The show also features a shortened version of Tchaikovsky’s beautiful melodies, ideal for the first encounter with dance. Part of the My First Ballet series, this is the perfect introduction to the beauty of ballet, and a fantastic family day out for kids and parents alike. The kids will be hopping around in excitement if you take them to see Where Is Peter Rabbit? at the Theatre Royal Haymarket. Bringing the much-loved stories by Beatrix Potter on stage with handcrafted puppets, the show features 14 brand-new songs for your little ones to sing all the way home. 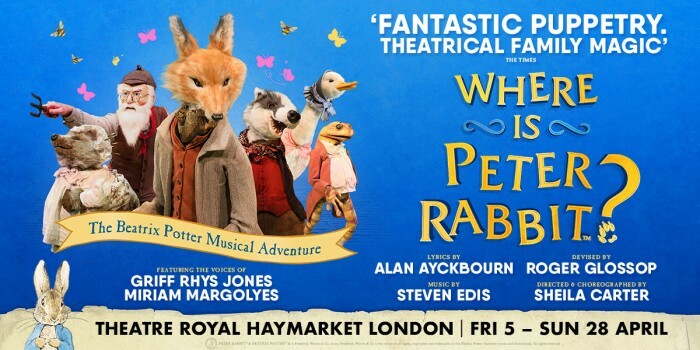 With appearances from Jemima Puddle-Duck, Mrs Tiggy-Winkle, the mischievous Peter Rabbit and the mean Mr McGregor, you’ll see fond favourites come to life on stage. The show also features voice-overs from two national treasures: the BAFTA Award-winning actress Miriam Margolyes, and the Olivier Award-winning Griff Rhys Jones.